Location: Tynemouth, Tyne and Wear, England. 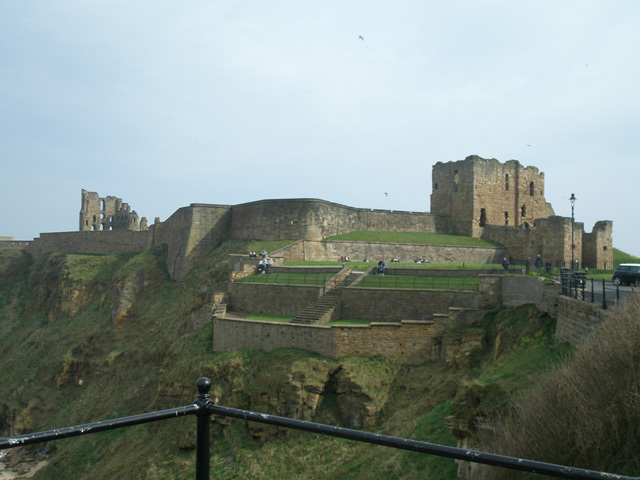 Notes: Tynemouth Castle is located on a rocky headland (known as Pen Bal Crag), overlooking Tynemouth Pier. The moated castle-towers, gatehouse and keep are combined with the ruins of the Benedictine priory where early kings of Northumbria were buried. The coat of arms of the town of Tynemouth still includes three crowns commemorating the tradition that the Priory had been the burial place for three kings. Tynemouth Castle and Priory is now managed by English Heritage, which charges a nominal admission fee.